Oil pulling has become very popular recently with lots of buzz. 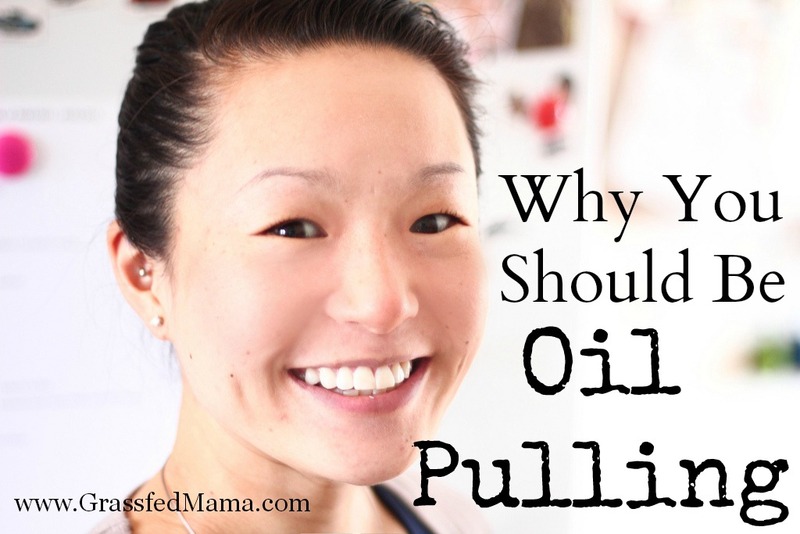 In this post we will cover what oil pulling is and why we should be doing it. I just recently started oil pulling myself. I was looking at a natural way to whiten my teeth and also reduce plaque. I found that oil pulling really is great for your overall health as well. I really love the clean feeling it leaves on my teeth. It is also fairly easy to add into your routine. Oil pulling is the simple technique of swishing around a small amount (about a tsp) of oil in your mouth for an extended amount of time (10-30 minutes) before eating or drinking. It is usually recommended to do first thing in the morning on an empty stomach. This is a time when bacteria counts are high in your mouth. By oil pulling on an empty stomach, you are less likely to have a gag reflex. After you swish the oil around for several minutes, you spit out the oil and rinse your mouth with water. This simple process cleans and detoxifies your gums and mouth. Oil Pulling has been used for thousands of years, but came to the US in the 1990’s. Why would you want to Oil Pull? Oil Pulling is great for Oral Health. When you oil pull, all the antibacterial properties of the oil go to work. You are able to clean your mouth naturally by getting rid of these bacteria that live all around your teeth and gums. When you brush your teeth, you are really only cleaning about 10% of your mouth. When you oil pull, you are cleaning 100% of your mouth and all those crevices. Oil Pulling can whiten teeth naturally too! Oral Health is so important because bacteria and infections can enter your blood stream easily through your mouth. How many times have you brushed your teeth and your gums started to bleed. It is an easy access point for these pathogens. On top of being beneficial, oil pulling is inexpensive. You just use your high quality oils that you would normally use for cooking. I use organic coconut oil. You could use olive oil or sesame oil. I like to add one drop of Tea Tree oil to my coconut oil because it has been shown to be a good choice for oral health. 1. Put one – two teaspoons of oil in your mouth. I have to wait for the coconut oil to melt, then I begin swishing. I have been adding 1-2 drops of tea tree oil to my coconut oil, but you don’t have to. 2. Swish the oil around for over 10 minutes, but less than 30. Today I made it to 15 minutes. I usually do it first thing in the morning and do other things while I’m swishing away… then when I’m done, I just spit it out (it should be a creamy white color) and then rinse with water after. Don’t swallow the oil! It will be full of toxins and bacteria that you want to rid your body of. 3. Brush teeth like normal. I use Tom’s of Maine fluoride free tooth paste. I have only been oil pulling for about 2 weeks. I am prone to plaque build-up between dentist visits and hope that this can help reduce any plaque formation… and who wouldn’t love a brighter smile? What are your thought on Oil Pulling? Have you tried it yet? What do you think? I have seen a lot of people talking about this lately. I just dont know if I could do it. I have a really strong gag reflex.You will have to let me know how your next dentist visit goes! Thanks for linking this up with MMM link up party this week. It has got me thinking I might need to look into this more. If I was gagging, I wouldn’t do it, haha. You could always just swish activated charcoal in your mouth with some water for a few seconds. Overall, I really like oil pulling. I actually do it the most when I’m taking a shower haha.